An ancient country with rich history, rich heritage, advanced culture, and advanced ancient techniques who’s growth was the result of incredible ancient engineering and technology during those days. For more than 10,000 years, Indian civilizations have flourished and have been one of the richest countries in the world. The rich history of India is surprising and unbelievable even today. Thus, having such a rich culture and history, there are many interesting facts from the ancient history of India. 1. The atomic theory was developed by Acharya Kanad in Ancient India who had already talked about the idea of anu – atom – that’s an indestructible particle of the matter more than 2600 years ago. 2. Fire bacteria was recently stated by modern science something to be true who were previously saying that no life can exist in fire. It gave them a base for sterilization. But Vedas claim that life exists everywhere, even in the fire. It has been discovered that ‘bacteria’ can survive in the fire, these are fire bacteria. 3. Maharshi Bhardwaj had written Vymaanika-Shaastra, which was discovered in a temple in India. 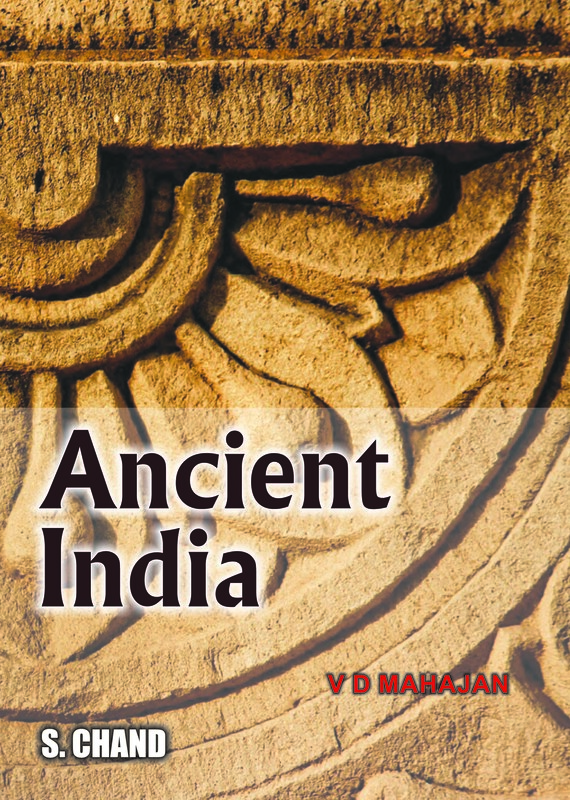 This book was written 400 BC and talked about the operation of ancient vimanas, how they steered, propelled, how they took precautions for long flights, how they protected airships from storms and lightning, how they switched the drive to solar energy and other free-energy sources. The vimanas in those days took off vertically, and he talks about at least 70 authorities and 10 experts of air travel. 4. Bhaskaracharya calculated the time taken by the earth to orbit the sun hundreds of years before the astronomer Smart. Time taken by earth to orbit the sun: (5th century) 365.258756484 days. 5. Vasco da Gama was said to have the biggest ship available in Europe. Then he met a Gujarati named Kanha, he was a trader who had ship 12 times the ship of Vasco da Gama. The story is mentioned in Vasco da Gama’s own journal, which is in Lisbon today. 6. Ancient Indians from Indus Valley were the first to make buttons and step-well. 7. A sort of ancient ultrasound machines, in Shrimad Bhagavatam, 30th chapter describes the growth of the embryo in the mother’s womb. This description is quite similar to modern descriptions found in modern textbooks. 8. Algebra, trigonometry, and calculus came from India. Quadratic equations were written by Sridharacharya in the 11th century. 9. The game of Snakes & Ladders originally called ‘Mokshapat’ was created by the 13th-century poet saint Gyandev. The ladders in the game represented virtues and the snakes indicated vices and were originally played with cowrie shells and dices. 10. Yoga is a mental, physical and spiritual practice which has its origins in India and has existed for over 5,000 years. Patanjali, the father of Yoga is the person behind the spread of this global practice. 11. The World’s first university was established in Takshashila in 700BC. More than 10,500 students from all over the world studied more than 60 subjects. The University of Nalanda built in the 4th century BC was also one of the greatest achievements of ancient India in the field of education. 12. The art of Navigation was born in the river Sindhu 6000 years ago. The very word Navigation is derived from the Sanskrit word Navgatih. The word navy is also derived from Sanskrit ‘Nou’. 13. The value of pi was first calculated by Budhayana, and he explained the concept of what is known as the Pythagorean Theorem. He discovered this in the 6th century long before the European mathematicians. 14. The earliest reservoir and dam for irrigation was built in Saurashtra. 15. Sushruta is the father of surgery. 2600 years ago, he and health scientists of his time conducted complicated surgeries like cesareans, cataract, artificial limbs, fractures, urinary stones and even plastic surgery and brain surgery. Usage of anesthesia was well known in ancient India. Over 125 surgical equipment were used. Deep knowledge of anatomy, physiology, etiology, embryology, digestion, metabolism, genetics and immunity is also found in many texts. 16. According to Saka King Rudradaman I of 150 CE a beautiful lake called Sudarshana was constructed on the hills of Raivataka during Chandragupta Maurya’s time. 18. The four religions born in India, Hinduism, Buddhism, Jainism, and Sikhism, are followed by 25% of the world’s population. 19. The place value system, the decimal system was developed in India in 100 BC. 20. Newton’s Law, what we know today was developed 1200 years before Newton in Ancient India. As stated in Surya Siddhanta, which is dated 400-500AD, the Hindu astronomer Bhaskaracharya states, “Objects fall on the earth due to a force of attraction by the earth. Therefore, the earth, planets, constellations, moon and sun are held in orbit due to this attraction.” They are the lines similar to Newton’s law of Gravity. 21. Indian mathematicians had their contribution even in the area of Geometry. There was an area of mathematical applications called Rekha Ganita (Line Computation). The Sulva Sutras, which literally mean ‘Rule of the Chord’ give geometrical methods of constructing altars and temples. The temples layouts were called Mandalas. Some of the important works in this field are by Apastamba, Baudhayana, Hiranyakesin, Manava, Varaha, and Vadhula. 22. Indus Valley Civilization knew the process of zinc extraction by distillation from zinc ore as early as 10th century BC. India could remove zinc from zinc-core for 4 thousand years. They knew ways to extract zinc using distillation process. 23. The largest numbers the Greeks and the Romans used were 106 whereas Hindus used numbers as big as 10^53 (10 to the power of 53) with specific names as early as 5000 BCE during the Vedic period. 24. Known to be the Father of Medicine in the Indian context, Acharya Charak wrote Charak Samhita, which is considered to be the encyclopedia of Ayurveda was consolidated Ayurveda 2500 years ago. Ayurveda is the earliest school of medicine known to humans. In his book, he has given 100,000 herbal plants with their medicinal qualities. He has also talked about the impact of having a proper diet on mind and body. 25. Varanasi, also known as Benares, was called “the ancient city” when Lord Buddha visited it in 500 B.C.E, and is the oldest, continuously inhabited city in the world today.